I’m convinced that the length of my commute remains one of the mysteries of the universe. Some days it takes 25 minutes to get to and from the office, but on occasion (like when school is back in session, there’s a freak snowstorm, and/or it’s a random Tuesday) it can take 2 hours. That’s a lot of time, and if it weren’t for my podcasts, it would be a lot of time wasted. I continue to be amazed at the amount of knowledge that is out there in podcast-land, and it’s free. I first learned about Dave Ramsey via his The Dave Ramsey Show podcast (listed further below) many years ago when I was looking for sound financial advice. He won me over. 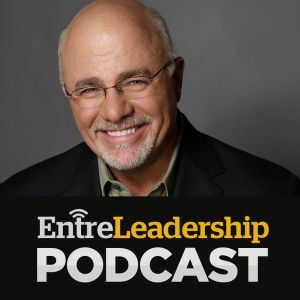 So when he launched EntreLeadership, a podcast focused on business, team building and leadership, I knew it was going to be a winner. It’s currently ranked #4 and #19 for Careers and Business respectively in iTunes. This is a MUST listen to. 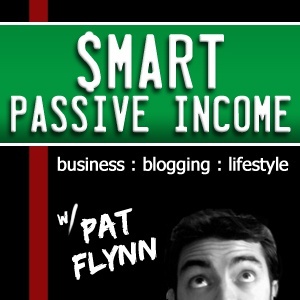 Pat Flynn has singlehandedly reignited my love for entrepreneurship. Through his transparent website and informative podcast he’s proven that it’s possible to run successful online businesses while still being an attentive father and husband. For a long time, he was the ONLY podcast that I listened to. Smart Passive Income is #2 in the Management and Marketing category and #10 Business on iTunes. Do you love TEDTalks, but there’s no event in your area? 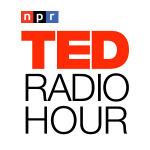 Then the TED Radio Hour podcast is for you. Described as being “Based on Talks given by riveting speakers on the world-renowned TED stage, each show is centered on a common theme – such as the source of happiness, crowd-sourcing innovation, power shifts, or inexplicable connections.” every episode is charged with thought provoking ideas and leaves my wife and I with interesting dinner time discussions. It’s the #1 Technology podcast on iTunes for a good reason. To say that Dave Ramsey is life changing is an understatement. His financial teachings have forever impacted my life as well as the lives of my closest friends and family. On his show, and in his books, Dave teaches you how to get out of debt in 7 baby steps. If you follow them, you will be debt free. Plain and simple. I can’t recommend this podcast enough – it’s #2 in the Investing category and #3 in Business on iTunes. The Moth is the grandfather of this list. Described as “True stories told live on stage by people without notes” I have laughed and cried with their storytellers weekly for the better part of a decade. Truthfully, I don’t know what I’d do without them. 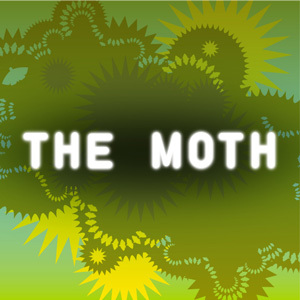 The Moth is the king of the hill in Performing Arts and Storytelling on iTunes. One of the newcomers to my list of podcasts, 99% Invisible hosted by Roman Mars, had me hooked the first time I tuned in. Focused on design, I pick up more odd/unique/interesting tidbits from this show than any other. It’s #1 in the Design category on iTunes. Another newcomer within the past few months, Snap Judgment is like The Moth podcast turned up to 11. Glynn Washington, the host of the show, has had quite an interesting past and, combined with an awe inspiring list of journalists, does an amazing job of storytelling with a beat. It’s #3 in the Storytelling category in iTunes. So there you have it. Are you a podcast fan like me? If so, what do you listen to and why? I’m always on the look out for the next great class in Automobile University.